It’s that fun time of the year for the 25 Days Of Christmas Movie Blog Hop! 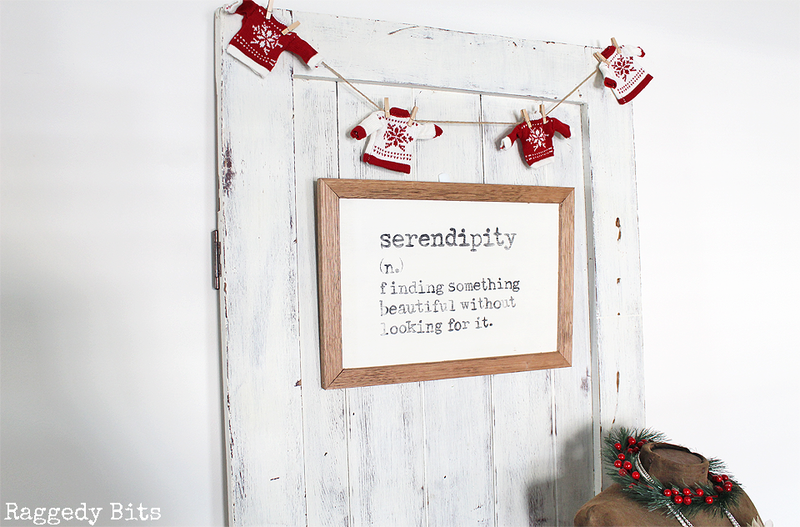 My choice of Christmas movie and inspiration for this fun project is Serendipity. If you haven’t seen the movie, it’s a Romantic Comedy and set at my most favourite time of the year, Christmas! 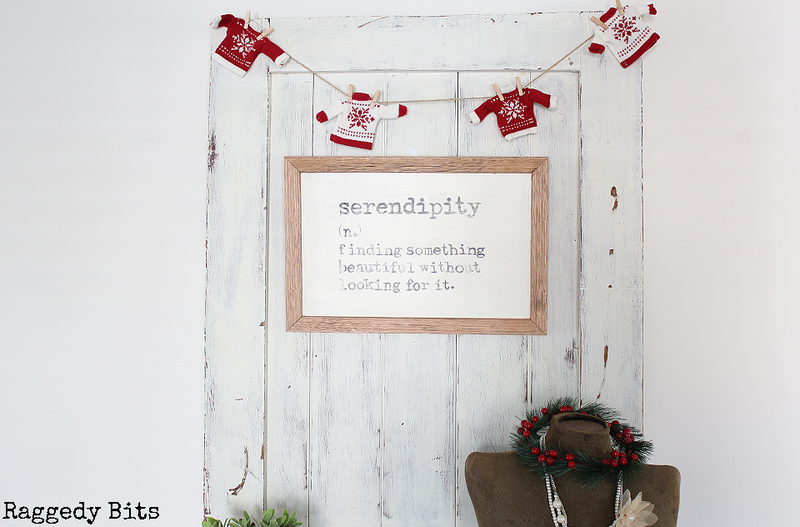 Sharing a Farmhouse Christmas Serendipity Sign for you to make. 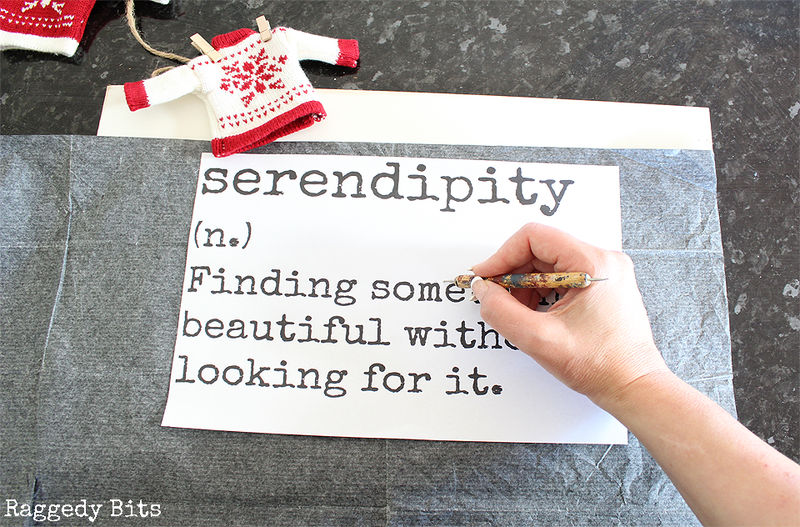 Serendipity Printable – adjust the size to your frame in your printer settings to fit your frame. Step 1 – Paint the backing piece of your frame with 2 coats letting dry in between. 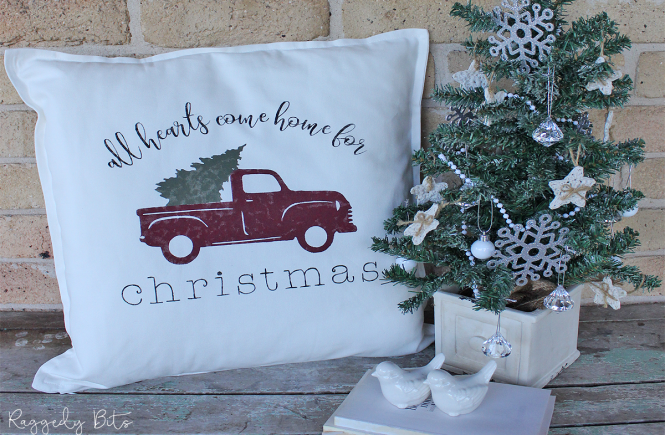 Grab your printable, stylus and transfer paper. Line up the printable so it is in the centre of your backing piece. Pop your transfer paper underneath and trace out the wording using your stylus. 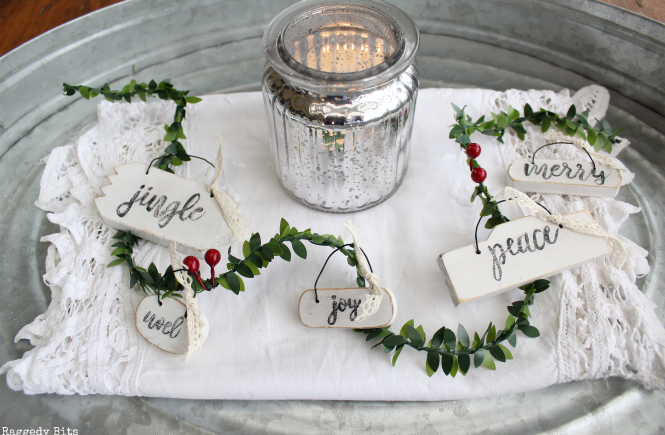 Step 2 – Taking your sanding block distress the wording to your liking and wax to seal. Now your frame is all ready to be hung! 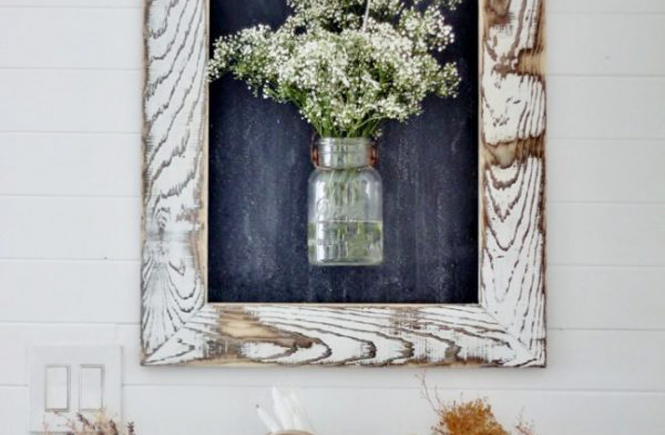 The frame would also make a fabulous gift too! 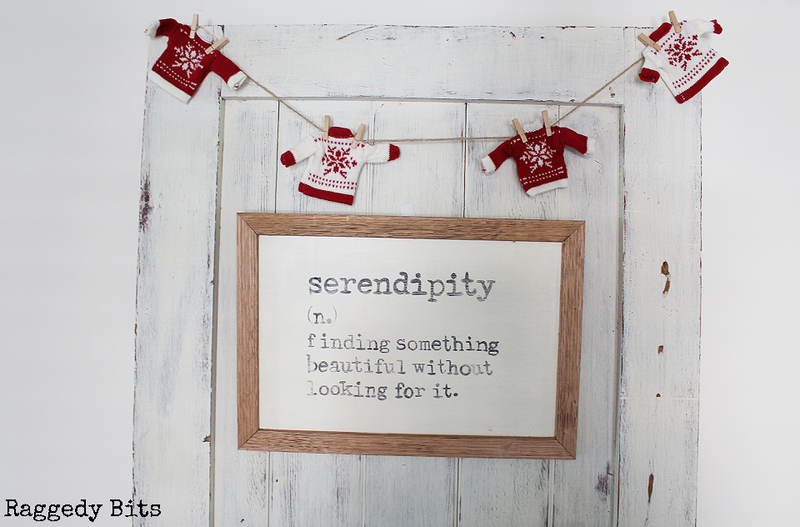 I hope you find some Serendipity in your day too! 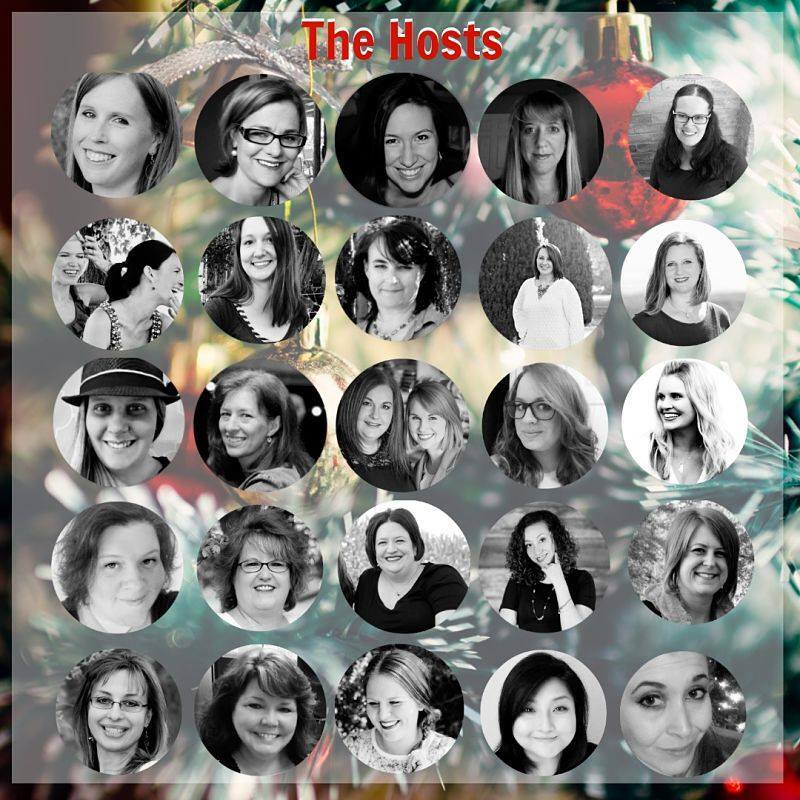 Don’t forget to check out and enjoy all of the other wonderful Christmas Movie Inspired Projects from my blogging pals below! 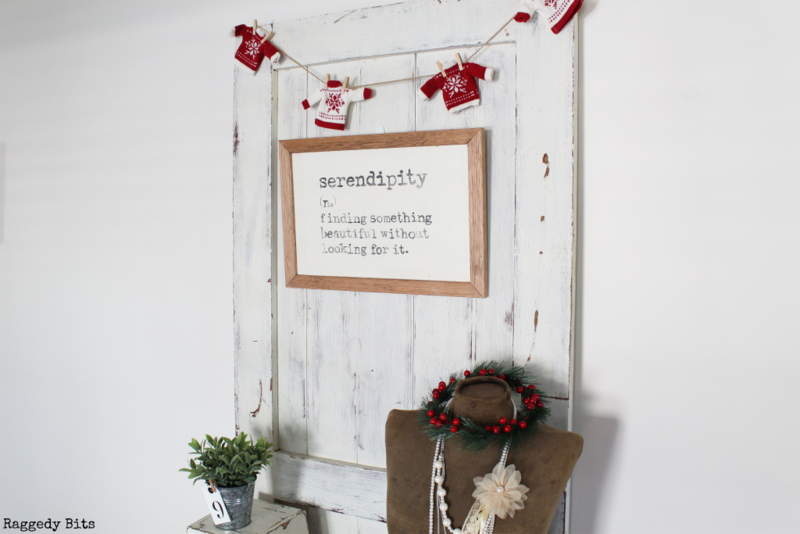 Sam….love this sign and your adorable vignette too. I love the simple look of the sign and the quote is perfect! Did you use a normal frame and left out just the glass part?? I have to copy that, love it! Hey Katrin! I made this frame but you could most definitely use a frame and remove the glass!! Can’t wait to see what you do!! I love your sign, Sam, it is one of my favorite words, and the sweater garland is adorable too. I love the whole idea of movie inspired party, I’m going to check out what other people made. Enjoy the season. Thank you so much, Amalia!! Isn’t it just the best word!! I hope you enjoy all of the other fabulous projects as well!! Love the sign, and the quote, and how it’s displayed with the adorable sweater garland above. I have a question that maybe you can help me with. I am unable to leave comments using my computer. It says to login in, but it’s not accepting it. I tried to reset password but apparently it does take my email or user name. I can comment from phone when I used my login info. I’m at a lost of what I need to do. Hi Linda! Thank you for your sweet comment! Yes, I apologise for the issue with leaving comments! 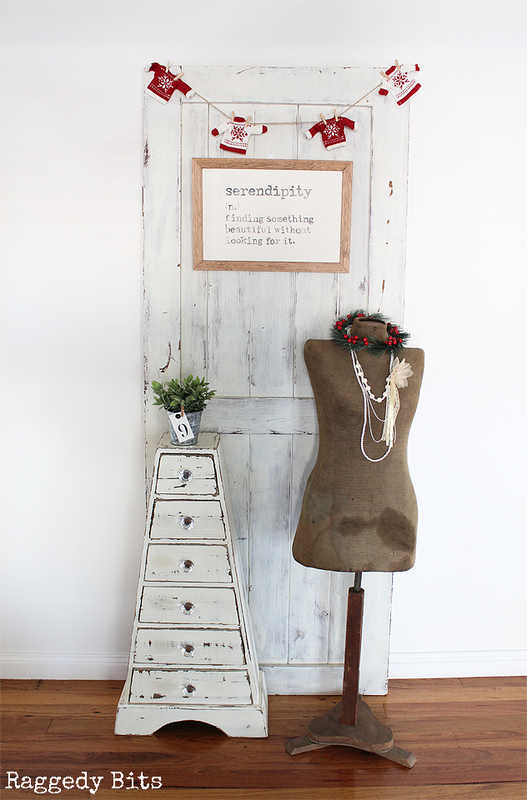 Somehow I inadvertently changed a setting in the back of house of my blog!! I have fixed it now and all should be ok to comment now! Please let me know if you have any further issues! I don’t know what I love most about this! The sign, the quote, the garland…it’s all so cute! I’m so glad you like it Carrie!! Thank you for leaving such a sweet comment! Very cute, love how simple but unique this is. Thanks for sharing. Thank you so much, Kelley, for leaving such a lovely comment! 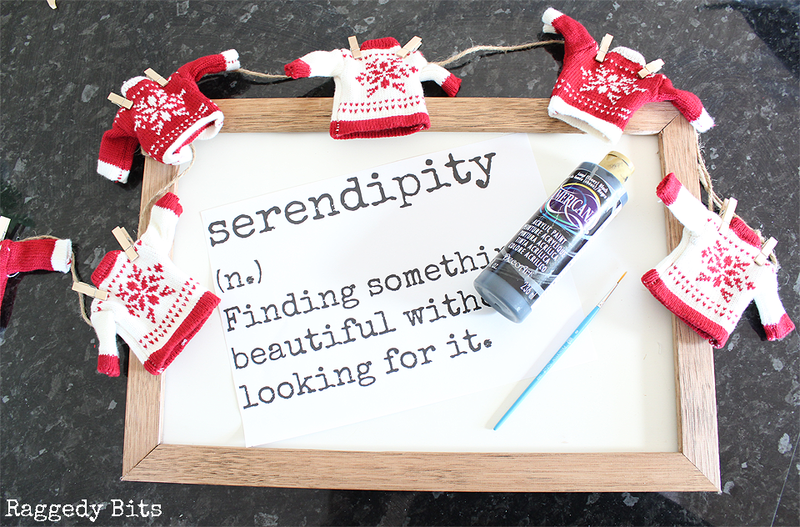 I’ve never seen Serendipity, but your sign makes me want to go and watch it! I love it! The little sweaters are perfect for the winter season. Oh wait until you do Erlene!! I hope you enjoy it as much as we do! Christmas seems to be the only time of year when it’s acceptable to continuously watch movies you’ve already seen! When I was little I wore out all my Christmas movies, especially The Nutcracker. Recently I’ve learned more about their deep and rich history (https://www.cuckooforest.com/blogs/cuckoo-forest-blog/german-nutcrackers-exclusive) and couldn’t think of a better Christmas movie to have been obsessed with as a child!! It sure is a great movie too, Kerri!